I know its been so long since I posted but I promised that after the summer I will get back into blogging. 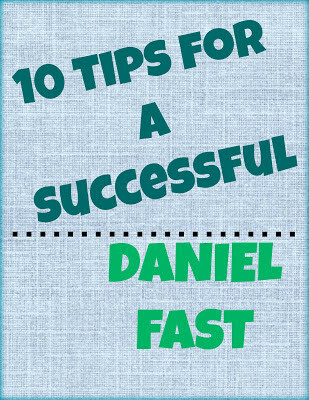 I have lots of new recipes, craft ideas and of course frugal tips to share with you. For now our family is preparing to take part in a short term missions trip. I would like for you to read our journey over here about what we will be doing. Please pray for us as we are away that God would use us to bring healing and restoration and that people will come to be part of the family of God. This is kind of like the frugal post I shared last summer with the iced coffee shake. The only difference is I don't have as much time in the morning (with Eben only taking one nap now) to whip up a shake. This summer the iced coffee seems to be doing it for me. I have been on a new routine of getting up earlier which mean I have my coffee while spending time with the Lord. 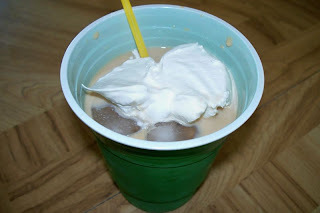 Then in the hot afternoon I enjoy my decafe ice coffee. They are simple to make. I have a jug of cold coffee made and in the fridge. When I want my drink I pour into a cup add sugar, milk or cream, stir and you can even top with whip cream!! This is just another reason why I love my bread maker. 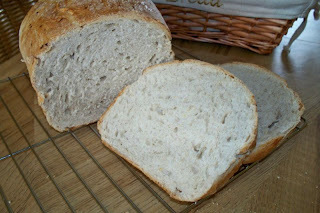 It makes making bread so easy; you just place all the ingredients into the machine and select the dough setting. 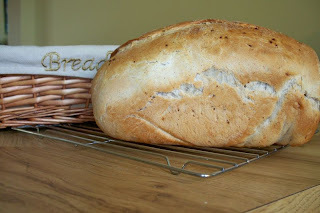 When that is finished I place it into a bread pan and ta da!!! We really enjoyed eating this cinnamon bread right out of the oven with peanut butter. 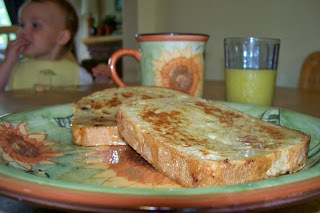 The next morning for breakfast I made french toast out of it! It was so delicious! 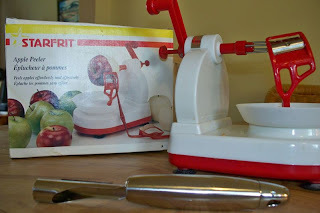 The best part of this dollar buy was that when we opened up the box we found this apple slicer/corer!!! 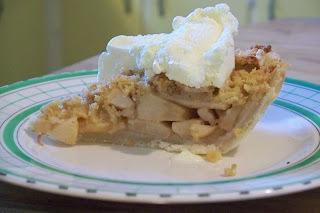 With a peeled apple this makes making apple sauce and pie a very fast job! Have I told you how much I love yard sales!!! So here is my kitchen tip for today that really saved me on Friday night. 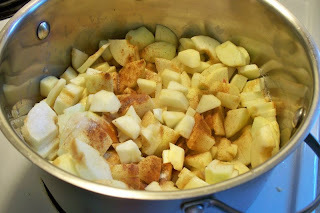 I was preparing a apple pie for some guest we were having for supper when I realized that the open top pie I was making called for brown sugar, which I didn't have. So I remembered seeing somewhere that you could make brown sugar by taking 1 cup of white sugar and adding 1 Tbsp molasses. It worked out fine and even held up well in the crumble. The pie was a BIG hit!!! These little hair clips were a last minute creation that I thought up as I was picking up stuff for our yard sale. Because my bangs are just at the length where they don't fit in the pony tail and are always falling into my eyes I am always wearing a bobby pin. I picked up these pretty flowers in the scrap booking aisle (10 for $1.00) and rushed home to create!!! 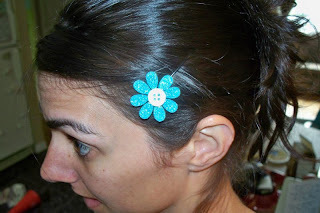 There are so many varieties of flowers you can glue onto many different hair clips or pins. I used some snap berets and sold them in our yard sale; anyway back to the tutorial. 1. Glue button to the center of the flower using a hot glue gun. 2. 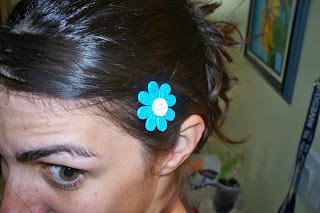 Glue flower onto hair piece using hot glue gun. Wait 5 minute to dry and ta-da! !